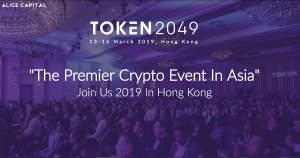 This week while many of the team members began their short break for the Lunar New Year, ioeX made an announcement about a voting platform and it was revealed that Rong Chen will speak at Token2049 this March. Rong Chen spoke on ELA Talk in China to answer some questions about the 2018 Elastos End Of Year Report. Hello everyone, first of all, I would like to wish all of you a happy Chinese New Year. Does Elastos support any consensus algorithm? As we said in our annual report, we are building an Ethereum sidechain, NEO sidechain, Token sidechain, and DID sidechain, including the DPoS consensus mechanism. 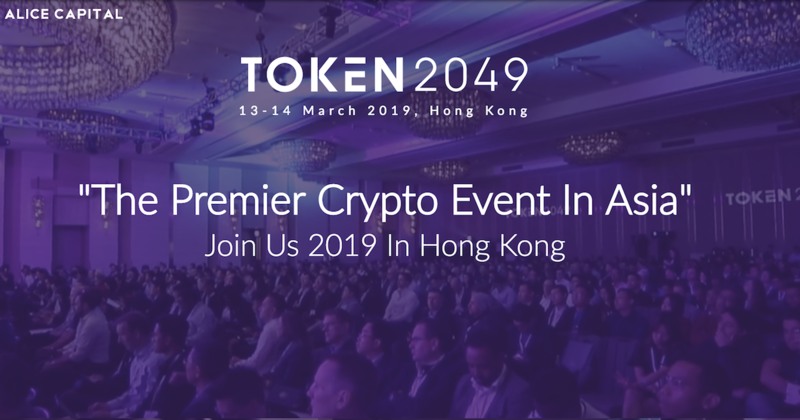 The top layer supports DPoS, supports the Ethereum consensus algorithm, and also supports the NEO consensus algorithm. There is nothing wrong with saying that we built a secure Smartweb that is able to access any consensus mechanism, but it does not make any sense that Elastos is able to create all consensus mechanisms. How do you ensure that the security of the arbitration node can be protected from DDOS attacks? As we all know, there is a middleman attack on the traditional Internet, and the bottom layer of the Elastos Carrier is the traditional Internet. We cannot establish a complete new internet from the top down to the bottom. What does Elastos really do? The communication between these virtual machines on the desktop is all generated by the Elastos Carrier. In other words, the network packets on the Elastos SmartWeb are generated by the Carrier. That does not mean that we can change the TCP/IP. Since all network packets are generated on the SmartWeb, it is very difficult to steal user information from a DApp and attack them. Since we are still using the traditional Internet infrastructure, DDOS attacks might still happen. This is not a problem unique to Elastos, but we will certainly hire a white hat professionals for security precautions. Is decentralization an irreversible trend for the internet? Will Alibaba and Tencent also be decentralized? I don’t think things will go to extremes. That is to say, if there is decentralization, centralization won’t have to be changed or eliminated. Like Ali and Tencent, they have very mature Internet profit models and they should still be there. We just want to establish a new model where we can buy a digital asset or do some other new thing in a virtual society. This is a new wave, so I am very optimistic about this new model, especially as there will be many new opportunities. I hope that everyone can logically think about this issue. Why are there 12 retained nodes in the DPoS supernodes? As we all know that we have 108 nodes. 12 nodes are reserved for CR Council. These 12 nodes represent 12 people. First, the benefits of these 12 nodes belong to these 12 people. Second, the votes of these 12 people are from the CR website. The projects as well as the proposals are to be discussed by everyone, and then finally voted in CR, and these processes are transparent. Then it is a completely programmatic management. Now we have 1 million set-top boxes. In fact, this number is not too important for us. Now we have about 1 million units, we are not planning to push it up to 2 million units. What really matters is that we have enough boxes so that our ecosystem projects have an experimental platform that is closer to the real situation. Don’t put too much emphasis on the number of 1 million. Of course, I know this is a very important milestone. So far there is actually no particularly popular APP on the 1 million set-top boxes yet. That’s why we are still setting up the stage, including our cooperation project in Myanmar for which we have 200,000 DID users there. We had the wallet first and then DID. Then we offered some small games for everyone, and distributed rewards as an incentive. We have mentioned a lot of ecosystem partners in the annual report that will set up their own in our ecosystem. What is Elastos’ plan for the next five years? I would like to emphasize two points. First, Elastos Foundation will continually spare no effort to construct our platform. Now it seems that we can finish most of the construction this year. I hope that we have a prototype of this stage in the second half of this year. As I said to the community, Elastos Foundation will complete the construction first, then finish SDK, and enrich our ecosystem. After that it may take one more year to optimize everything. In the end, we will see if there are any star projects from our community. I am very happy to tell you that by April of this year, our plan is to have Elastos be a completely open platform for partners to play to their own strengths in the ecosystem. The CR funds will be rewarded to partners who contribute to ecosystem construction. Under the current bear market, many teams were disbanded due to funding problems. What about Elastos’ funding situation? Our financial management is very conservative, efficient and responsible, and our financial report will come out after the Spring Festival. We have enough funding for our team in 2019 and 2020 to support the development for the SmartWeb. Elastos is committed to create a secure Internet (also called Web 3.0 or SmartWeb). First of all, the secure Internet must have an ID. Second, the Internet can do end-to-end encryption with an ID. Encryption must comply with the laws and regulations of the local access provider. We want to make a bright network relative to the dark network. This is good for everyone. All countries in the world are welcome to support us and support Elastos because the Internet is global. I wish you all a happy Chinese New Year!